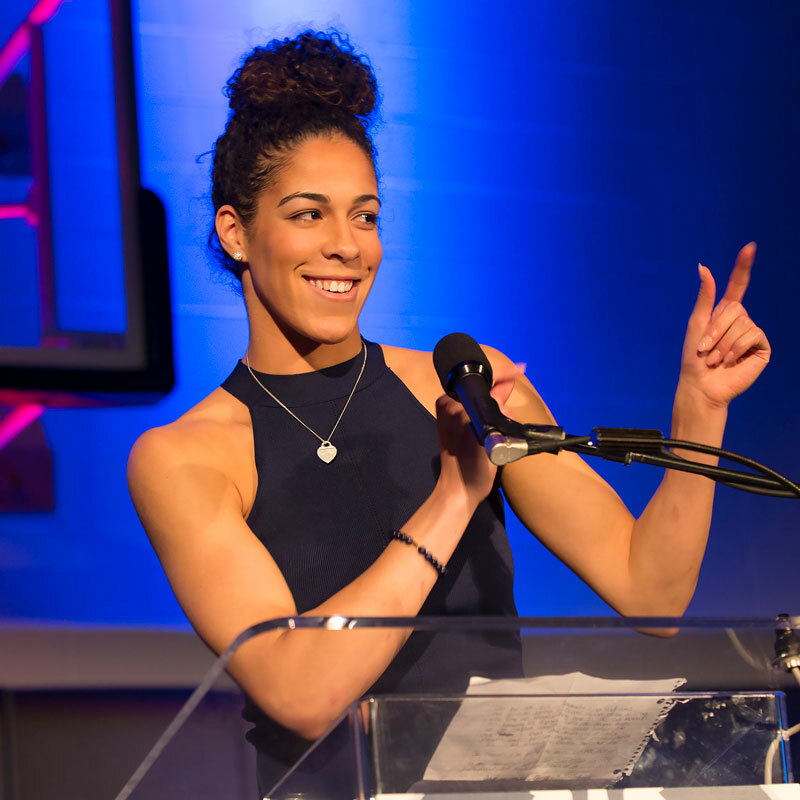 Graduates Kia Nurse ’18 (CLAS) and Gabby Williams ’18 (CLAS) head to the WNBA, along with Azura Stevens, who will earn her CLAS degree this summer. Role models on and off the court, Williams, Nurse, and Stevens (a transfer from Duke) will be much-missed members of the UConn academic and athletic community. All three were top 10 picks in the WNBA draft. Williams will join Stefanie Dolson ’14 (CLAS) playing with the Chicago Sky. Nurse joins Tina Charles ’10 (CLAS), Kelly Faris ’13 (ED), Bria Hartley ’14 (CLAS) and Kiah Stokes ’15 (CLAS) on the New York Liberty’s roster, and Stevens will play for the Dallas Wings with Saniya Chong ’17 (CLAS). During their four years, Nurse and Williams lost only three times in 151 games and were part of many historic UConn moments. They were on the court during the team’s 100th consecutive win and coaches Geno Auriemma and Chris Dailey’s 1,000th win. They helped lead the team to three undefeated regular seasons, eight AAC championships, four Final Fours, and two National Championships. Charismatic players and people, the community may miss their post-game microphone banter most of all. Individually, each won honors› too numerous to list. 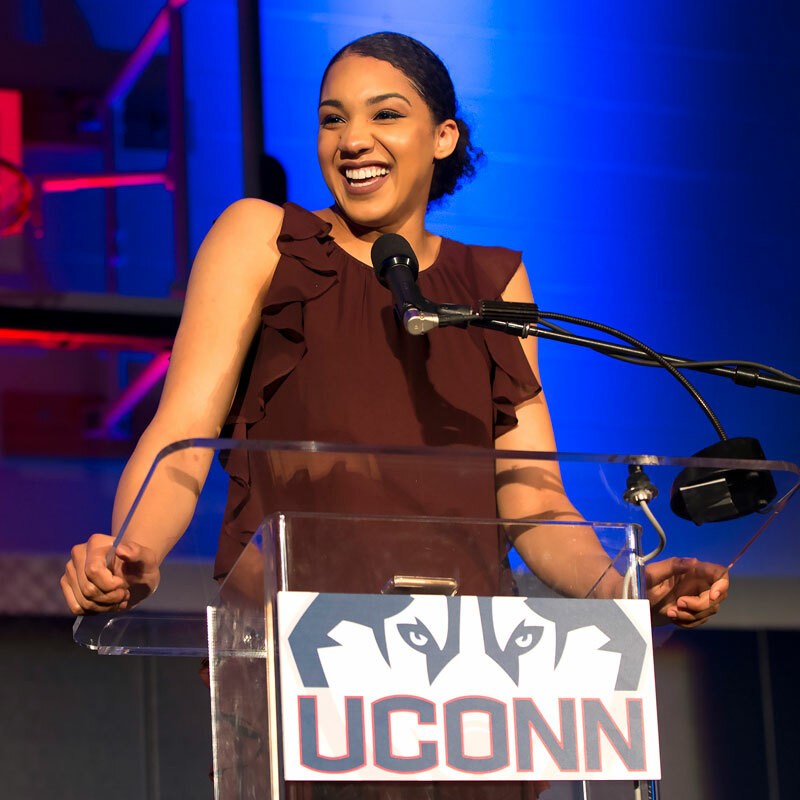 Highlights for Williams include the Senior CLASS Award, given to the most outstanding senior student-athlete in NCAA Division I women’s basketball, the Cheryl Miller Award recognizing the top small forward in NCAA Division I, and being named a Huskies of Honor at Gampel, the 2017 WBCA NCAA Division I Defensive Player of the Year, and twice a WBCA first team All-American. She chalked up 1,582 career points, 1,007 rebounds, 482 assists, and 305 steals. Nurse was AAC Freshmen of the Year, 2018 WBCA NCAA Division I Defensive Player of the Year and received All-American honorable mention. She racked up 1,674 career points, 395 rebounds, 442 assists, and 185 steals.